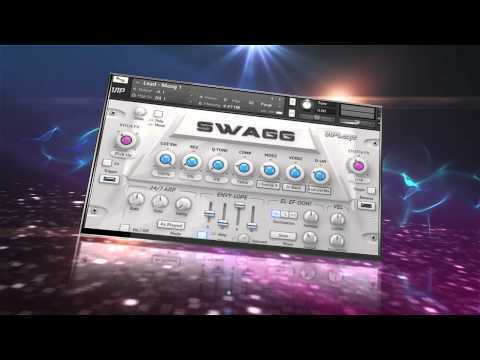 SWAGG is the new urban synth virtual instrument developed by VIP Loops in collaboration with Big Fish Audio. Put simply, SWAGG is the ultimate urban instrument! SWAGG is based on the hottest sounds that create today's Hip Hop, R&B, Pop, and Soul hits. The sounds are designed to be huge and to cut through your mix making your productions stand out from the competition. Containing over 8GB (11GB Uncompressed) of samples that were designed completely from the ground up and a total of 345 patches strictly designed for urban music production, SWAGG delivers go-to sounds that will allow you to create top notch productions whether you're a seasoned pro or new to virtual synths. When you're in the studio and under deadlines you don't have time to waste, SWAGG was designed to be easy to use so you can get down to business quickly. 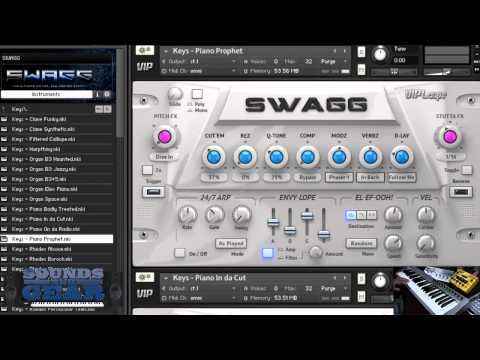 SWAGG boasts an incredible arpeggiator that allows you to easily edit the velocity of each note and pattern. Arps are essential to urban music, and SWAGG's arp section does not disappoint. What about the FX? Our team has implemented its new FX concept called "Quick-Strike". The Quick-Strike FX concept keeps with the promise to make SWAGG efficient in the studio and in performance as well as easy to use. From Drake-like single knob filters, to "Make It Bump" single knob EQ FX, SWAGG gives you power to craft your sounds quickly and efficiently. All of the Quick-Strike FX have been calibrated to replicate the sound needed for the type of urban production you are creating. The foundation of hit music is great sounds, and great sounds are at the core of SWAGG! It's big, easy to use, and incredibly modern. It's The Ultimate Urban Virtual Instrument! SWAGG requires 10GB of hard drive space.